Democracy and democratic values are a core part of what an Educate Together school is all about. Educate Together schools are run as participatory democracies, with respectful partnership between students, parents and school staff. This means that all members of a school community are supported and encouraged to make meaningful contributions to decision-making. A key part of a democratic school community is its Student Council. A Student Council is a representative structure for students, through which they can become involved in the affairs of the school, working in partnership with school management, staff and parents for the benefit of the school and the students. The aim of the Student Council at primary level is to provide students with greater involvement in the decision making procedures of their school and to help them learn about how democracy works. Generally two children from each class are elected by secret ballot and are appointed as representatives for their class to the council for the duration of the school year. Infant classes tend to be represented by two elected pupils from 6th Class. Children in the senior classes can run campaigns asking their fellow students to vote for them ahead of the election. Student Councils generally meet several times each term. These meetings are facilitated by a teacher with council representatives collecting ideas and suggestions for the agenda from each class ahead of each meeting. Suggestions are then discussed, prioritised and are brought to the attention of the school’s principal and to staff meetings. In Educate Together Primary Schools Student Councils have been responsible for a number of positive changes in their respective schools, such a 6th Class-Junior Infant Buddy System, fundraising for new sports equipment and a campaign to install a zebra crossing outside the school. Section 27 of the Education Act, 1998 outlines that students of second-level schools may establish a Student Council and that their school’s board of management should encourage the establishment of a Student Council by facilitating and giving all reasonable assistance to students who wish to establish one. At second-level, much the same as at primary-level, a school’s Student Council is a representative body through which students in the school can make a valuable contribution and become involved in the affairs of the school. The student council works in partnership with school management and staff and parents for the benefit of the school and its students. The Student Council provides an opportunity for students to make their voice heard. The committed students also learn to develop their communication, planning and organisational skills which will be of benefit to them in their future lives. Moreover, the contribution made by a Student Council to the development of school policy in a number of areas can have significant benefits for students and the school. This is just a brief overview of what and who makes up a Student Council. 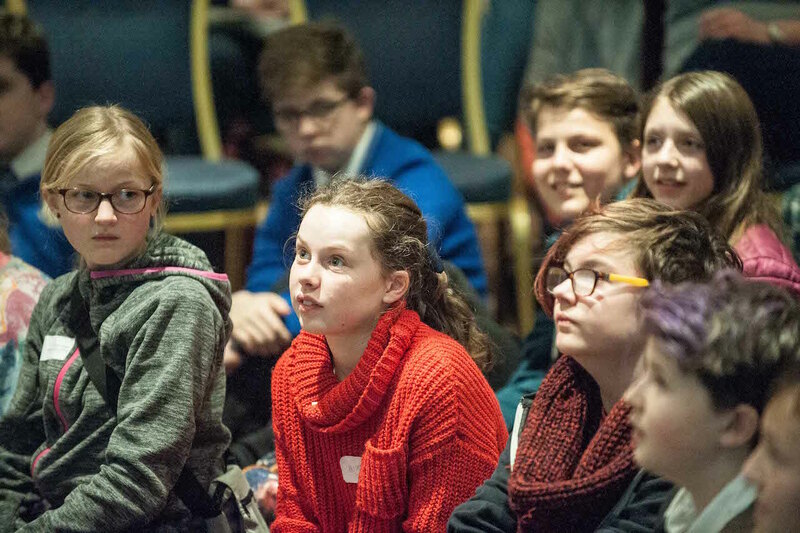 For a more detailed account, along with helpful templates and activities to help you establish and run your own Student Council, the Department of Children and Youth Affairs have put together a really handy resource pack which you can download here.